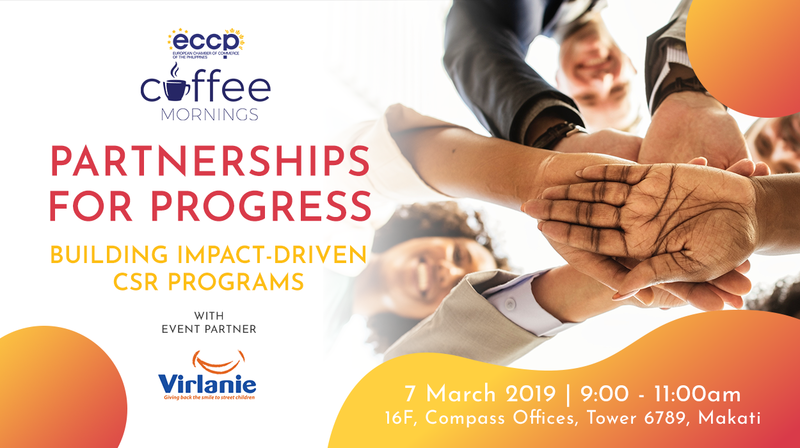 This Coffee Morning session aims to engage participating members of the corporate community to discuss the realities of Corporate Social Responsibility in the global and local context. In midst of the milestones of human progress, varying social issues continue to emerge in its wake. During this day and age of open access to information, these social issues drive a call to action for a more responsive and responsible citizenry towards a collective effort. The session highlights a deeper understanding on the nature of Non-Profit Organizations and the potential role of the civic society in their varying efforts of resolving the existing social issues we face today. Fundraising Manager with a decade of experience in bringing in funds for an international non-profit organization through managing key corporate accounts. His experience has allowed him to be capable of highlighting the role that businesses can take in addressing social issues. With around 12 years of experience in strategic program planning and execution, operational planning and management gained by leading and managing various organizations, he has been exposed to the non-government organizations business. With this, he can show diverse perspectives on business, investment and how it can impact development and social change. Experienced Department Lead with a demonstrated history of working in the fundraising and relationship management aspect of nonprofits. His experience will provide useful insights in building strategies to make your CSR meaningful and well-known.